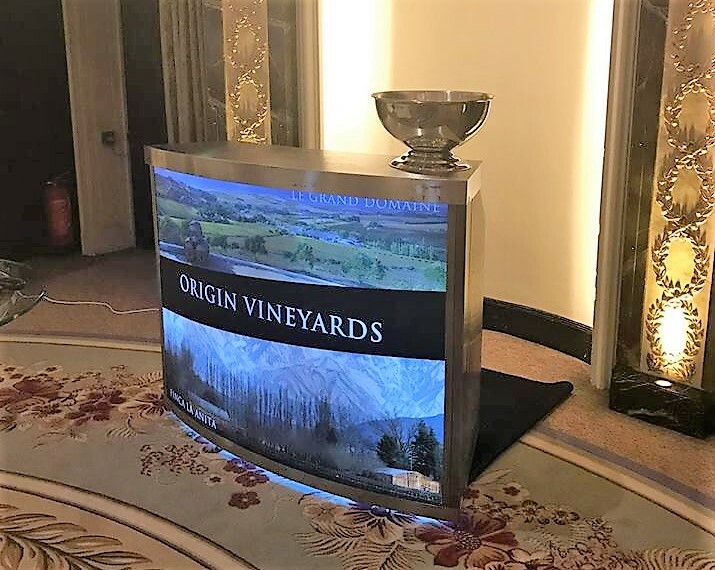 If you have an exhibition, conference or business event coming up and want to excite and delight your guests then book one of our branded bar packages. 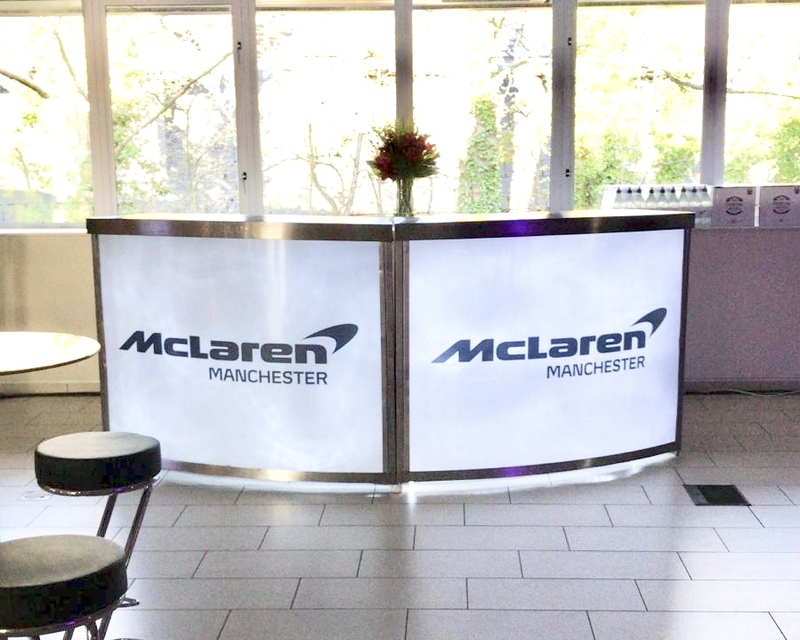 We have a range of bars available and all of them can be branded with full panels of artwork or logo lettering placed onto the front of the bar panels. The bars can also be lit with LED lighting to really make the bar stand-out in those darker venues. We can deliver this service all over the UK and abroad as a dry hire or full hire package. Include glassware, all the alcohol, ice and garnishes as well as an engaging cocktail bartender to shake up the drinks. We are delighted to partner with Digital Plus LTD in order to deliver this fantastic service. They supply all of the branded panels for our bars and are always a premium quality. INTERESTED IN ONE OF OUR BRANDED BAR PACKAGES?